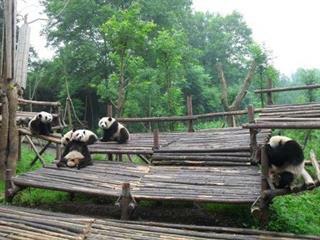 Program: Be picked up at your hotel lobby in the morning, and then drive to the suburb to visit the Panda Breeding Center and the Sanxidui Museum, drive back to the downtown and visit the Jinli Ancient Alley, have n optional Sichuan Opera at Shufengyayun Theater in the evening. 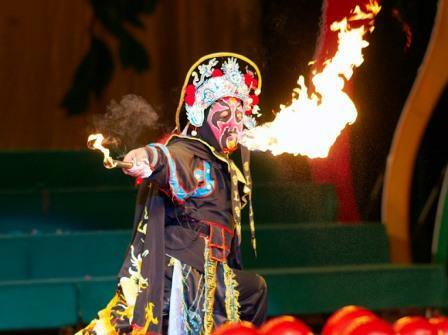 Sichuan Opera is one of the operas in China. The highlight of Sichuan Opera is Face Changing. The performers change their faces less than a second, even change their clothes within a second. 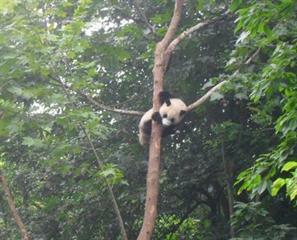 Visitors can watch Face Changing not only in Theater but also in tea houses, and even getting closer to the performers. 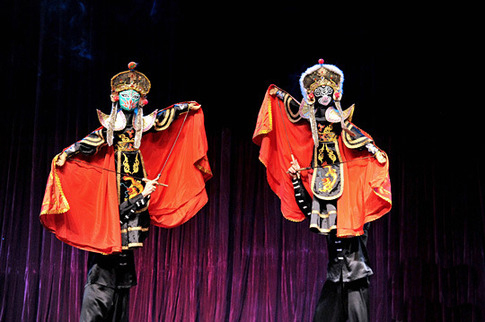 The other highlight of Sichuan opera is puppet show. The performers can control the puppy's hands, fingers, feet, eyes' twinkling, even puppy's face changing. Don't miss the opera! Program: Check out your hotel in the morning and then be picked up and transferred to the airport and catch your morning flight to Nyingchi, be met at Nyingchi airport and then drive to Lulang, enjoy the scenery of Lulang there, drive back to Nyingch and check in your hotel. 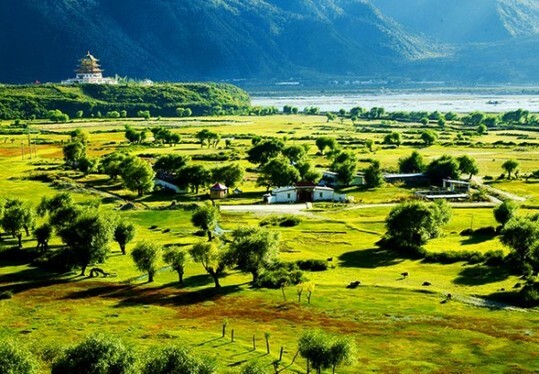 Tibetan people call Nyingchi the beautiful southern region in Tibet, comparing to the southern region of Yangtze River. 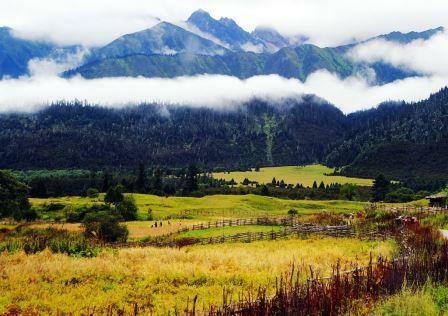 Nyingchi has thick forests, abundant water, rich vegetation, and show you a colorful scenery. Program: Check out your hotel in the morning, be picked up from your hotel lobby and then drive to Lhasa, visit the Tsondzong Monastery and the Draksum Tso Lake on the way, check in your hotel at Lhasa after arrival. 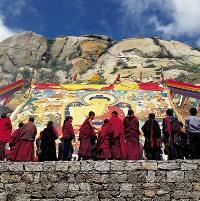 Program: Be picked up at your hotel lobby and then visit the Sera Monastery, the Norbulingka and the Barkhom Street. 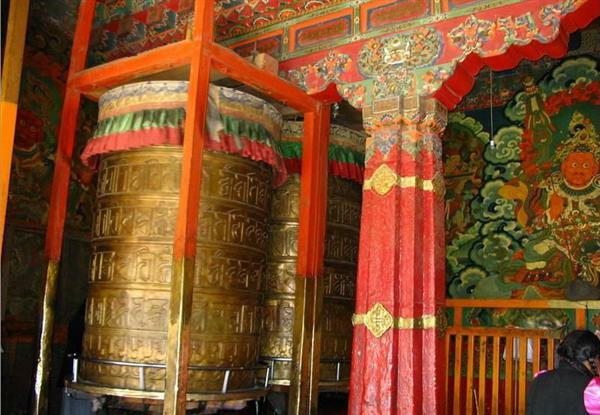 Norbulingka is the summer palace for Dala Lama, just like the Summer Palace for the imperial families in Beijing. 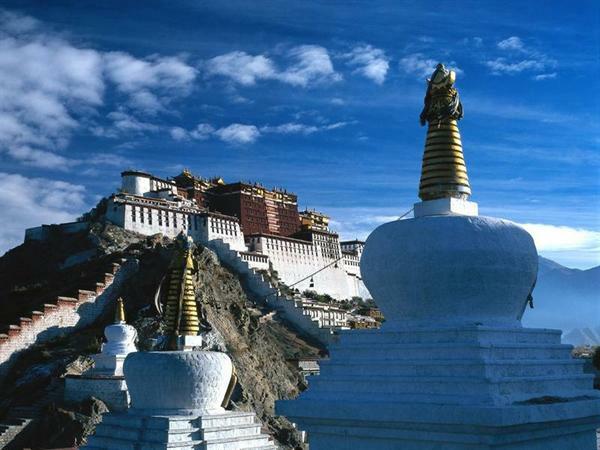 Program: Be picked up in the morning and then have a whole day city tour in Lhasa covers the Johkang Temple, the Hill Rock Medicine and the Potala Palace. 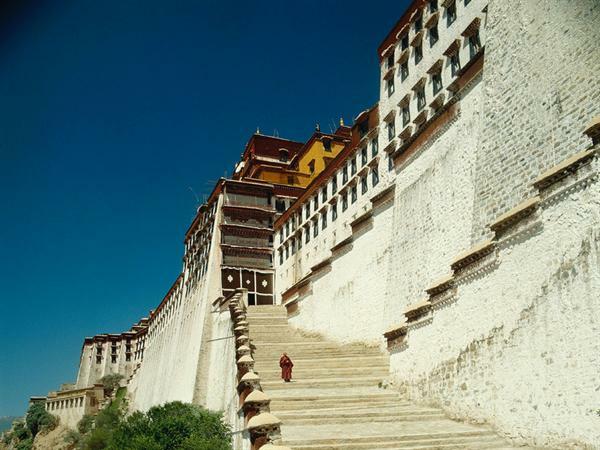 Potala Palace was built on the Red Hill. The white palace is inhabitation place for Dala Lama for seven floors; the red palace is mainly for preserving the Buddhists' relics for five floors. Program: Check out your hotel in the morning, be picked up and drive to the suburb to visit the Sacred Lake in Tibet—the Nam-tso Lake, visit the Local Tibetan Family on your way back to the downtown. Namtso Lake is the second largest freshwater lake in China, ranking behind Qinghai Lake, and the largest lake in highland. 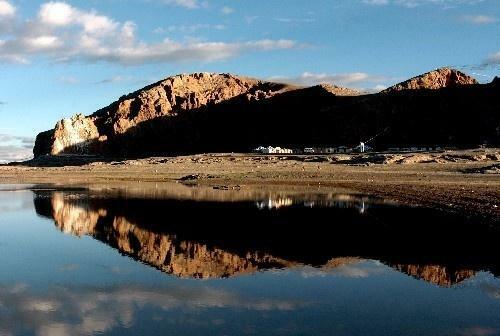 In both Tibetan language and Mongolian language, Namtso means Heavenly Lake. Program: Check out your hotel in the morning and then drive to the airport, catch your flight to TKM or your next destination. Hotel accommodations with breakfast as specified (but hotels are subject to change to the same category before finally confirmed. Domestic flights, buses as specified in the itinerary.